I remember when I grew up, dinner was a special occasion (whether we wanted it or not). At a certain hour, the family gathered at the dining room table and we all had dinner together. It was a great time for “what did you do today?”, “What went well?”, “Is anything bothering you?”. We also had time to catch up on family activities as well as toss out suggestions such us: “Why don’t’ we, etc. etc. etc.”. I recently read, according to statistics, that families today eat together three times a week. Perhaps even worse, if you think about gardening and food and nutrition, the three people from an average family eat three different meals that they individually chose for dinner and microwaved for themselves. How does a family garden fit into that scenario?? I think it might be the only way to get a family to eat together and to eat the same thing. Our thinking here at the SFG Foundation is that families are important. Parental influence shapes children into the adults they will become. Let’s start with a family garden! We feel that every individual should have their own boxes, choose their own plants, and take care of their own garden. Each individual will be responsible and rewarded by their decisions and their own efforts while at the same time drawing the family members together because there’s a little bit of competition there. There is still support within the family garden if someone has a question, needs support, and needs advice. The end result is a family activity that everyone enjoys and treasures. Fast Forward to the Harvest. If everyone takes their salad bowl out to their garden, that’d be a fun-filled and exciting event. Everyone would have something different, could compare and share, as well as be rewarded and acknowledged for their participation and results. Take your salad back to the kitchen or eat outside! There’s a reason for the family to get together every evening. Would that work in your family? Why don’t you give it a try! This is even a good idea for grandparents. There’s nothing more special than a shared garden to bring grandparents and children together. The exciting phone call of “Guess what?! My radish has sprouted!” or “My first tomato is ready!” Not only phone calls and emails can center around what’s happening in the joint garden, but it would increase the visits–making both generations closer knit and having common interests and satisfaction. Let’s bring back family dinners. 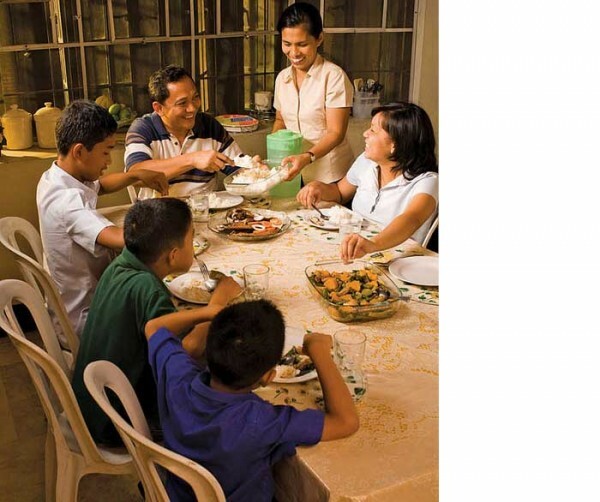 Have regular meals with your family, garden together, or have a funny family dinner story to share? I’d love to hear it–send it to askmelsfg@gmail.com.